Born in Paris, Texas, I have lived for periods of time in Oklahoma, Arizona, Queensland and California. At Amphitheater High School in Tucson, an English teacher offered to read any poetry that her students wrote and showed to her. I did, and poetry became my gateway drug to short stories, novels, screenplays and teleplays. The words just poured out of this troubled kid, and continue to do so to this day. Writing became an occupation, a creative outlet, therapy, an addiction (I later had to admit) as well as the basis of a secret life that few people knew about. Most acquaintances knew that I had earned my living as a writer. They knew I had worked for the state governments of Queensland and Arizona as an education and information officer. They knew that I then had a long career as a freelance writer for newspapers and magazines, which enabled me to raise a family. I wrote hundreds of articles and had hundreds of photos published during that career, which was primarily in the field of trade magazines with emphasis on landscaping and agriculture. What only my family and best friends knew was that after getting degrees in Wildlife Biology and Creative Writing I was writing short stories, novels and, later, screenplays at a prodigious rate (considering I was doing it part-time). I wrote 14 novels and finally had my first one published in 1989. That was A HUNTER’S FIRE, published under Floyd D. Dale. I continued writing novels but unfortunately could not get another published, and eventually fell into the comfy hell of screenplays. I have written about 35 screenplays (one loses count) and a couple of teleplays, and have had several scripts optioned and one movie made. That was a low-budget horror film called ROOM 33 which was co-written and directed by Eddie Barbini. It still hasn’t been released. I also was a staff writer on a reality TV show called ARREST & TRIAL, which I quit to preserve my sanity. This website is designed to release that secret life from its cage. In 2009 I was diagnosed with colon cancer, which later proved to be of the incurable stage 4 variety, and I decided that with the advent of internet-based publishing I had the opportunity to get my writing out there. I’ve decided to not only promote my novels and screenplays through the site, but share my thoughts on life, death, culture, politics, the writing life, philosophy, people—anything that comes to mind. That secret writer still has a lot to say. Time to get to it. 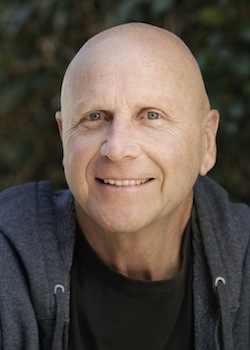 A published novelist, writer for the film and TV industries and long-time freelance magazine writer, Donnie Dale earned a living as a writer all of his working life. At its core, his life was about creativity. Stories about people, the human condition, the funny and awkward and tragic and joyful and horrifying lives around us—those are the stories he tells. Donnie passed away in the Hospice Unit of the VA Medical Center in North Hills, CA on November 15, 2012. He oversaw the publication of Ice Pick from his bed and made plans to have his other novels published posthumously through his own imprint, A Novel Press.